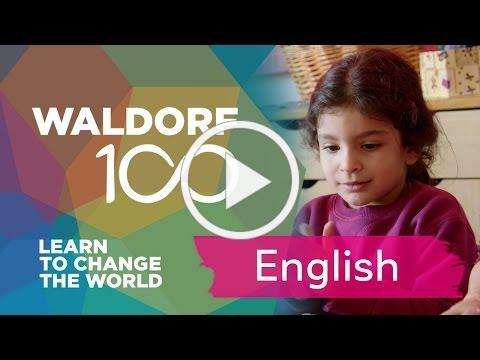 Parent enrichment opportunities are among the extra perks of being part of a Waldorf school community. Coming up this month we have two events which I urge anyone who can to attend. Next Thursday, Leslie Cohen-Rubury, LCSW, will speak to us about "how to recognize anxiety and teach your child what it is and how to cope, using cognitive skills, distress tolerance skills, mindfulness skills, and other emotional regulation skills." If you are able to join us for this presentation, please e-mail Melissa Merkling (details below). 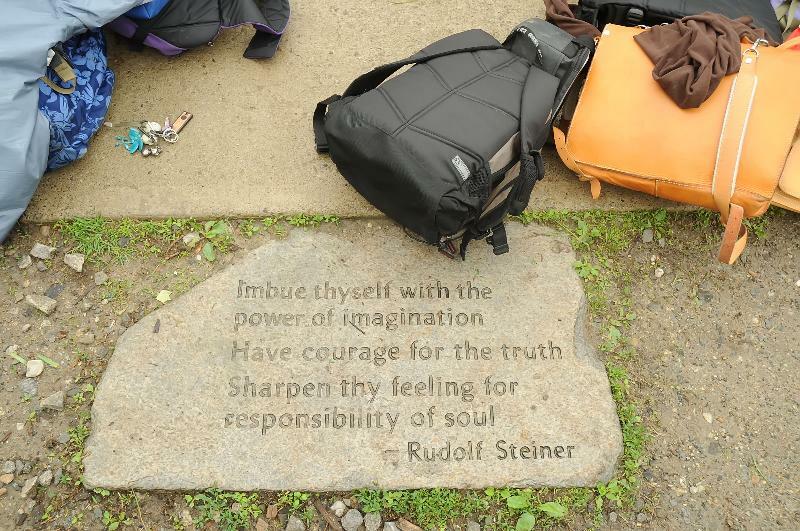 At the end of the month we will be visited by the Pennsylvania Eurythmy Ensemble. They will perform twice for students during the school day on October 30 and parents are invited. Eurythmy often remains somewhat of a mystery to parents, even seasoned Waldorf parents. It is a movement art that fosters inward and outward grace and harmony. 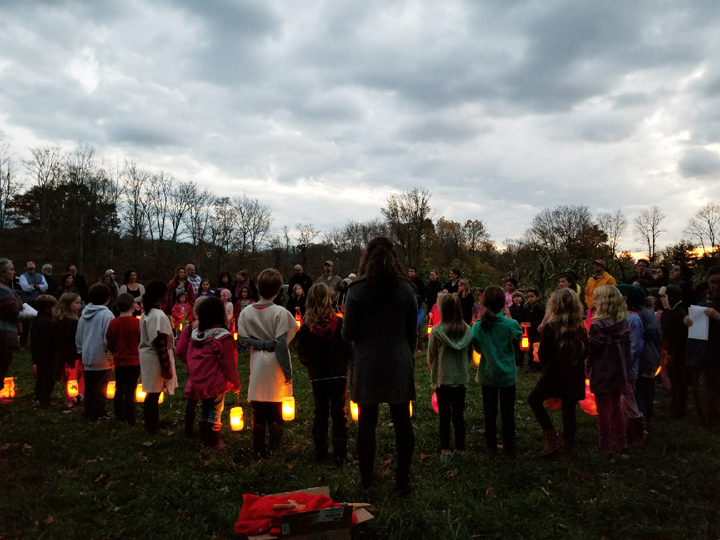 Our youngest students practice Eurythmy as a group, in a circle, generally with a fairy tale or story. ( Click here for an adorable snippet of a 1st grade Eurythmy class.) 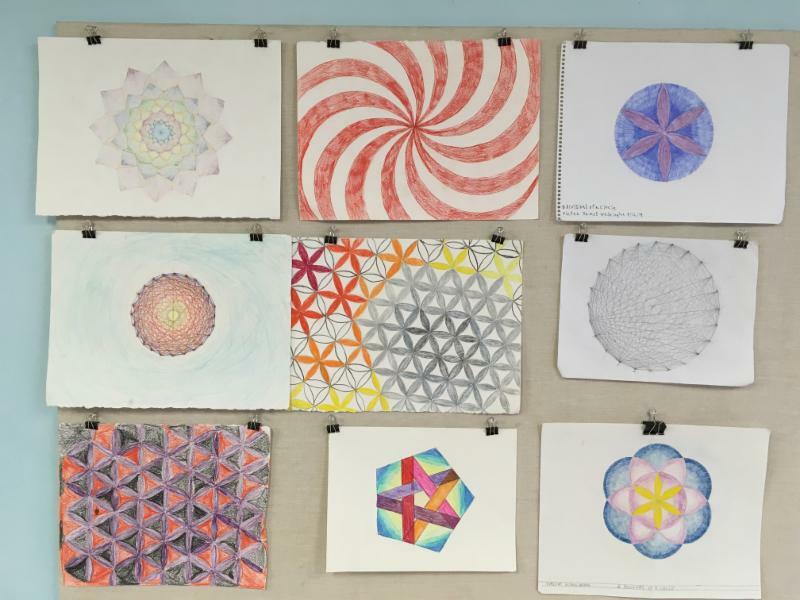 As the students get older, the group breaks out of the circle formation and the patterns become more complex, requiring a sort of mental weaving. But Eurythmy is not simply a class taught at Waldorf schools. There are professional performers as well. Mark your calendars for your chance to experience a professional performance when the Pennsylvania Eurythmy Ensemble visits on the 30th. An extra perk of working in the office of a Waldorf school is being close to all the food that is being prepared in our kitchen on any given day. 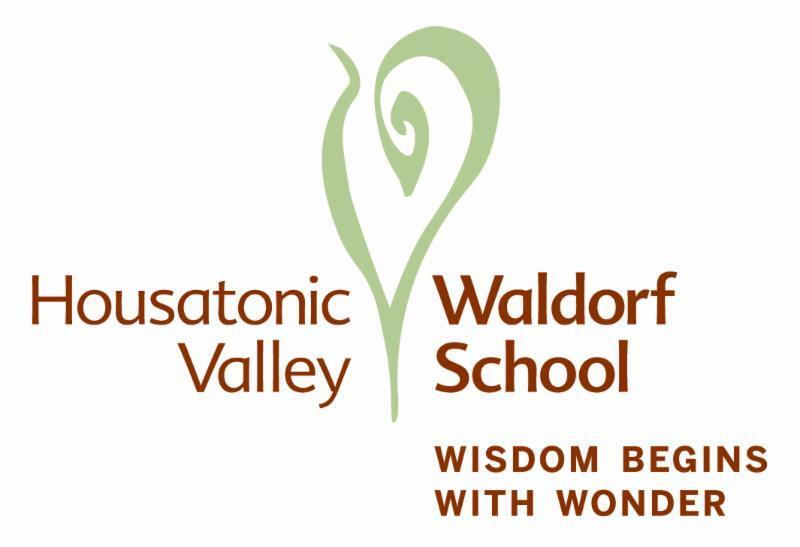 We are thrilled to have been able to host the Mid-Atlantic AWSNA (Association of Waldorf Schools of North America) Delegates meeting on Friday. The meeting was catered by HVWS parent Robin Van Riper ( EHSTO: Everybody Has Something To Offer). Robin shared some of her delectable muffins and cakes with us in the office. Thank you, Robin, for all your amazing culinary efforts for our visitors. Eurythmy Room, Lower Level, Compass Hall, 1 Jacklin Rd. 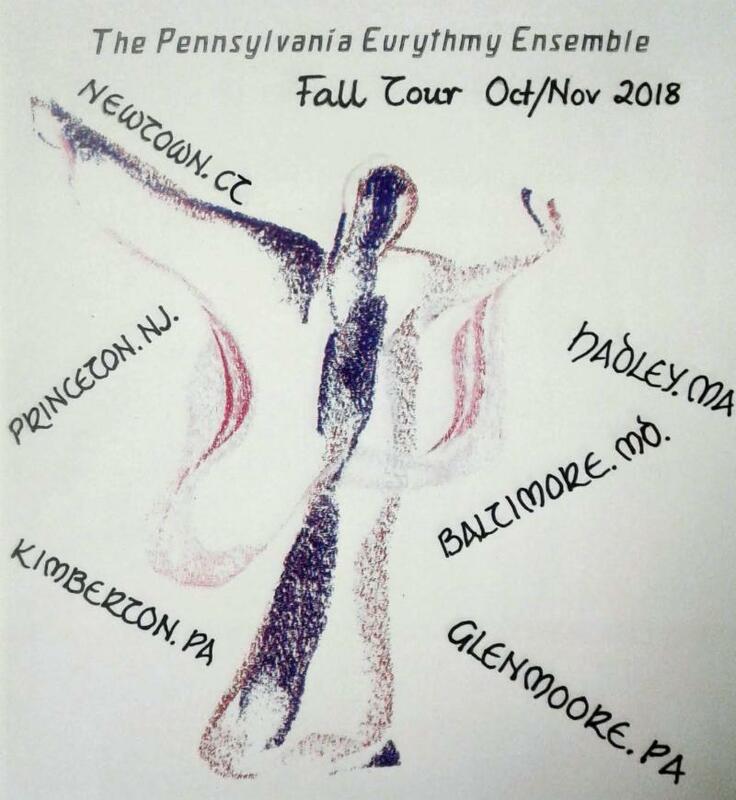 We are extremely pleased to announce that the Pennsylvania Eurythmy Ensemble will perform at our school on Tuesday, October 30. Early childhood classes and grades 1 and 2 will attend the earlier performance and grades 3-8 the latter. Parents are invited. If you have never seen a professional Eurythmy performance you should not miss this opportunity! Donations appreciated. snacks and drinks for Tuesday all day. If you can host or cook, please e-mail Laetitia Berrier-Saarbach at lberriersaarbach@waldorfct.org. 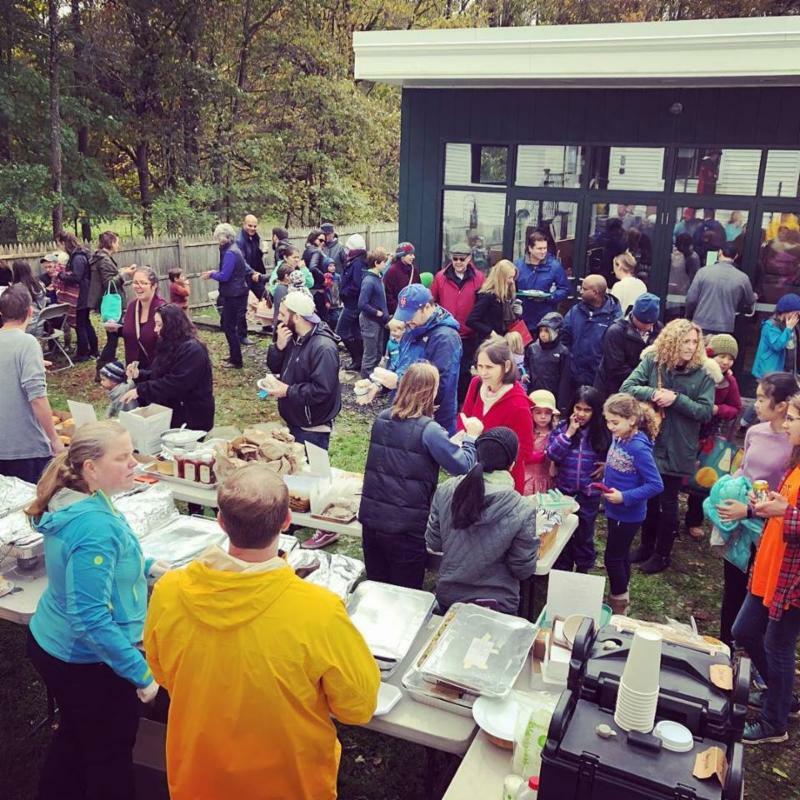 Volunteers needed for Open House : set-up, clean-up, bakers, and greeters. 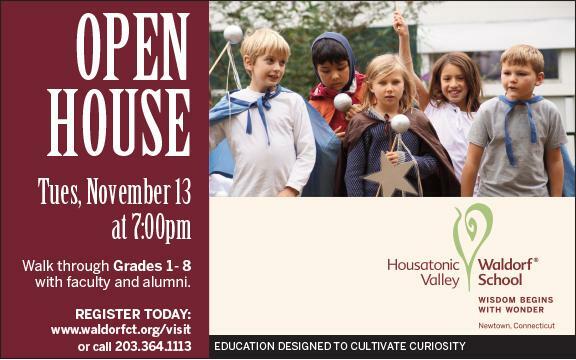 HVWS alumni, we would love to have you come and answer questions from inquiring parents. 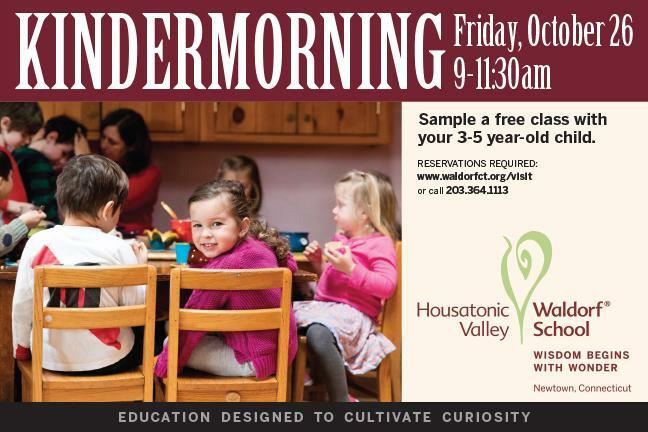 Contact Therese at tlederer@waldorfct.org . 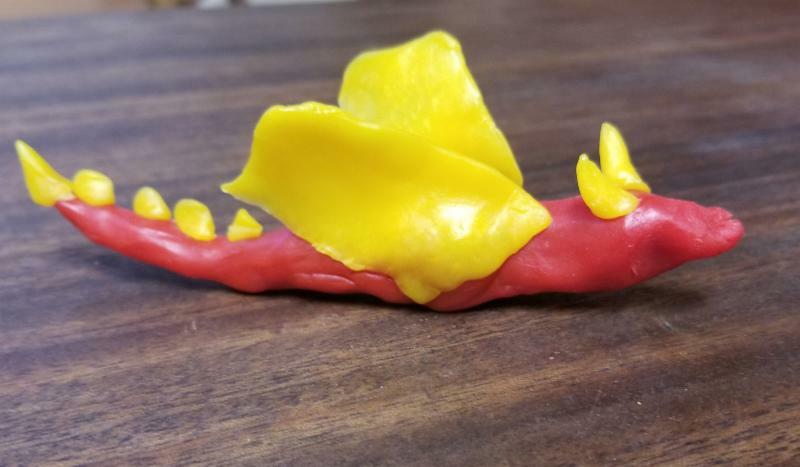 The Rainbow Garden School Store is Open! The store is open Tuesday - Friday 8:20-9 AM on regular school days. We carry a range of beautiful wooden toys, art supplies, games, books, Bolga baskets and more. We have new Ostheimer wooden animal figures and an expanded range of Grimm’s Spiel und Holz wooden toys. We have many birthday rings in stock! Please contact Natasha Daniels-Pearson with any questions regarding the store: danielsnatasha@hotmail.com. On Wednesday the Bluebell class joined the Sunflower class on a trip to Warrup’s Farm. We went on a hay ride pulled by a bright red tractor. We all picked a pumpkin from the pumpkin patch and then we said hello to some very large turkeys! Farmer Bill shared a bushel of apples with us and we sat in the sun while we ate them. The sky was blue and the golden leaves danced on their branches. What a beautiful fall day it was for the Bluebell’s first field trip. The Rose class has been as busy as the squirrels collecting nuts for the winter! We have been building houses, forts, kitty beds, etc. during inside play. Outside, we have built firehouses and fire trucks, complete with pumpers and hoses. Our “Sun” children are jumping rope with 1, sometimes 2 or more, children at a time and we did one jump with all seven Sun children, it was very exciting! All the children had a turn to lead the class in circle holding St. Michael’s sword high to the heavens. They all know that the mighty sword is never to be used for some silly quarrel or fight but only for the right! They will drive away evil as they try to protect others weaker than they!!! During this past month the Sunflower children really enjoyed the Michaelmas celebration as well as celebrating all of the Fall birthdays in our class. Now autumn is truly here and at our circle time we are singing about the leaves changing color and falling to the ground. Also at circle time, every child becomes a mouse (with scurrying feet) that looks for a house (so neat). 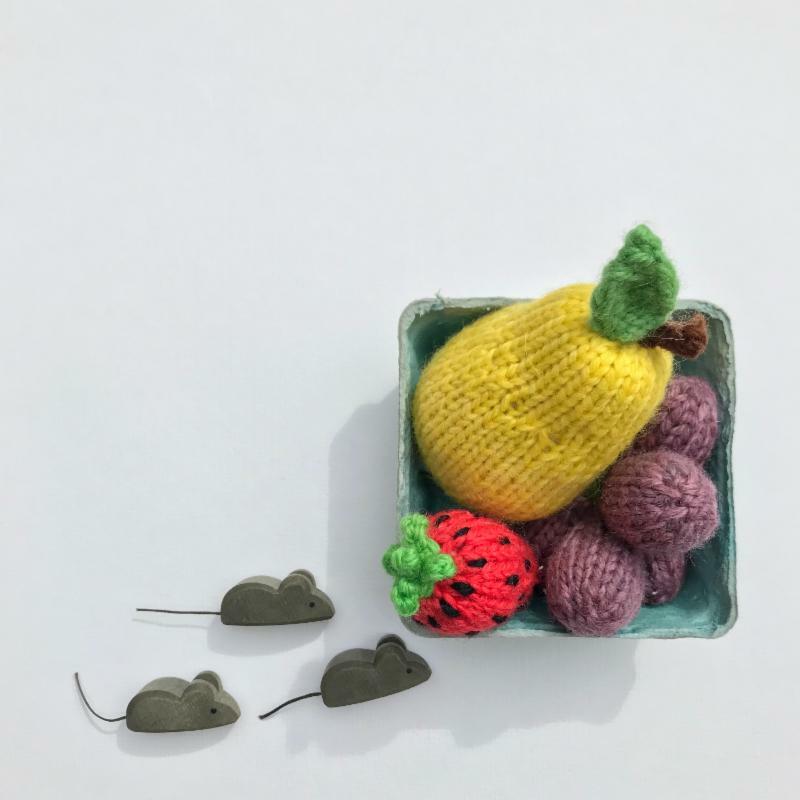 Our mice find a pumpkin and nibble and nibble until the pumpkin becomes a house. Then the spider, the frog, and the bear also want to live in this house! 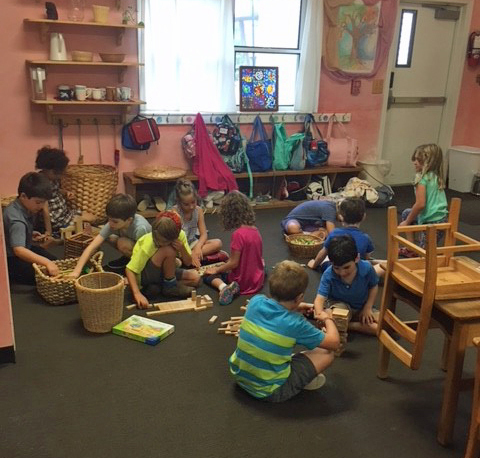 The children are making pumpkins out of orange yarn pompoms and the class enjoys playing the game "The Pumpkin King in the Castle." During this game the children pass a ring on a string around the circle while we sing. One of the children then guesses who has the treasure (the ring) at the end of the song. 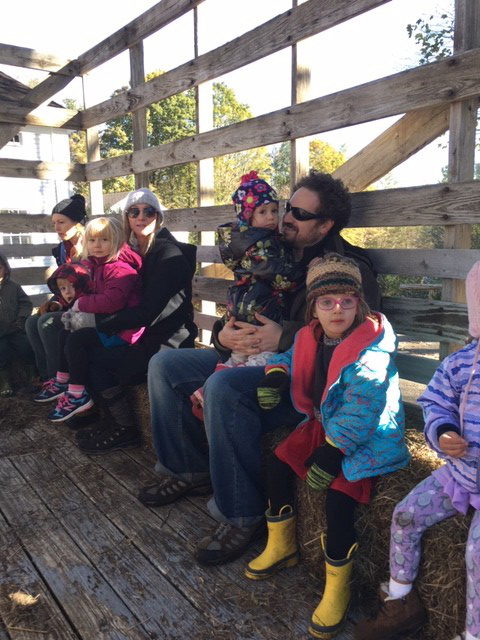 We recently enjoyed a field trip to Warrup's Farm, during which we went on a tractor ride, picked pumpkins, ate apples, and walked in a corn maze. 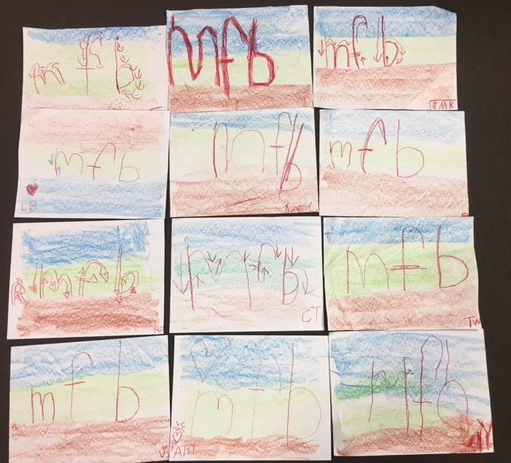 The 1st graders have been very busy learning how to form and sound out consonants in their first Language Arts block. We have also made lots of time for fun and free play. 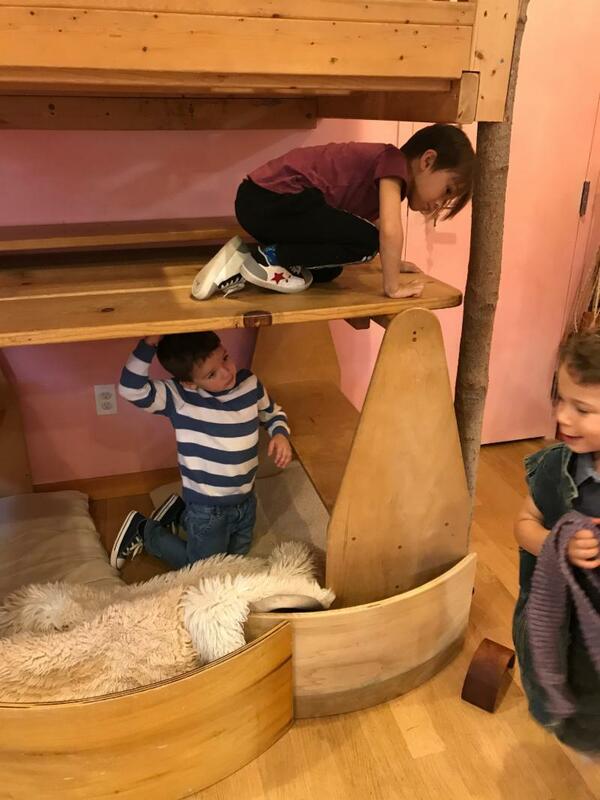 Some of our favorite activities include: jumping in the leaves, riding piggyback with our buddies at recess, and building castles out of magnet blocks! The 2nd Grade began the year with a Language Arts Block and learned about St. George and Mother Teresa of Calcutta. The students played the Meteors for the Michaelmas Play. A larger part of this block was about dragons and our fascination with them. The third grade started off the year in an Old Testament block. 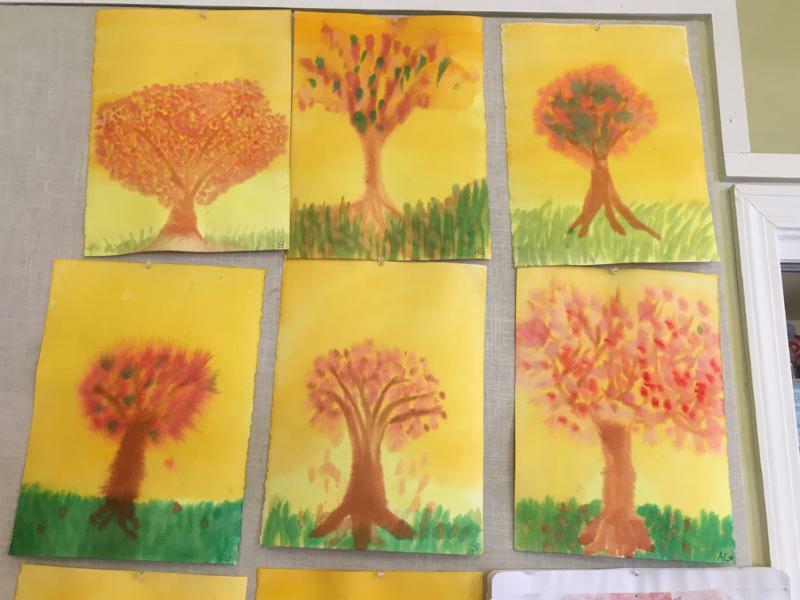 Along with these stories, third graders painted the days of creation, and became reacquainted with nouns and verbs, and were introduced to adjectives. Also in this block, third graders looked carefully at what elements make up a good sentence. 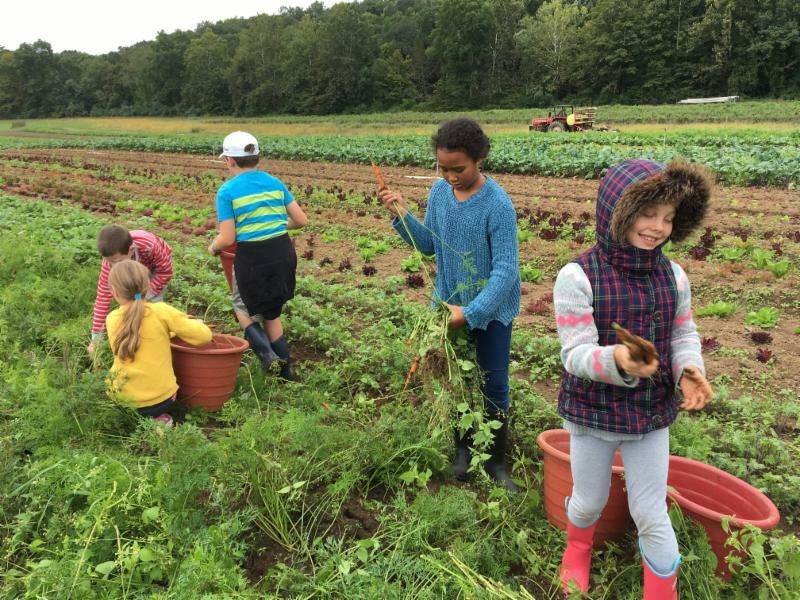 Outside of the classroom, the third grade has been visiting Riverbank Farm weekly. So far the class has enjoyed harvesting carrots and potatoes, and planting lettuce and kale. Back at school, Ms. Kapsaroff has been working with the third grade to harvest, clean, and plant new Fall seeds in our school garden. The children experience much joy while working with their hands in the soil! Working with Ms. Kapsaroff the students planted purple kale, spinach, carrots, and lettuce. They covered the remainder of the garden beds with composted hay. 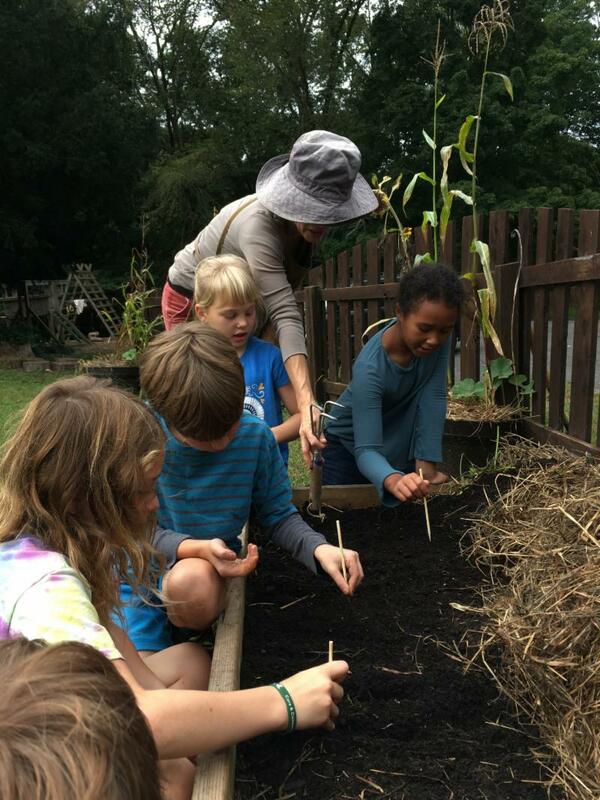 Later in the fall the third grade will collect seeds, pull up and compost all the remaining summer plants, cover all the garden beds with hay, and plant garlic for summer harvest. 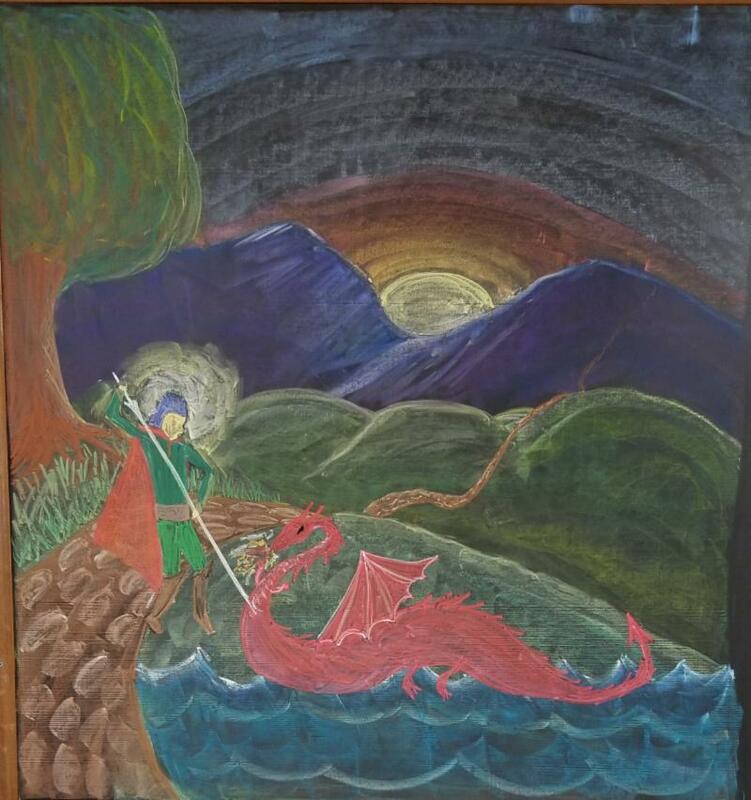 Last month the fourth grade students were introduced to the Norse Gods and stories of Norse Mythology. 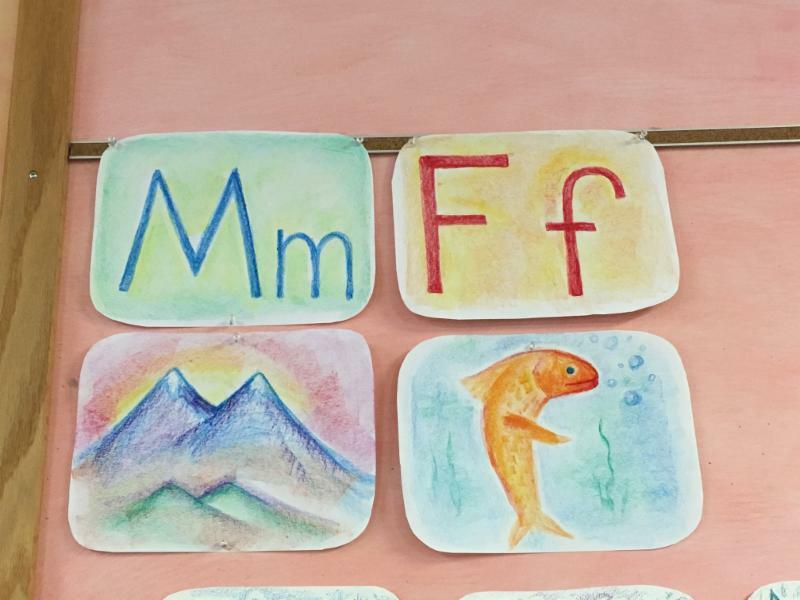 These characters will provide a colorful and often hilarious background to our year. We are now in a Math block and are learning about multiples, factoring, prime numbers, long division and multiplication and are preparing the way to learn about fractions later this year. The fifth grade started their year with Botany. We compared different ways of plant propagation, and started new plants from seeds, stems and leaves. We learned about lichen, moss, fungi and fern, and discovered the complexity of the forest. A walk around campus with Ms. Kapsaroff brought our attention to invasive species. And on our hike through Huntington State Park we identified many trees. We are just now finishing a Math block that introduced decimal numbers and strengthened our work with fractions. 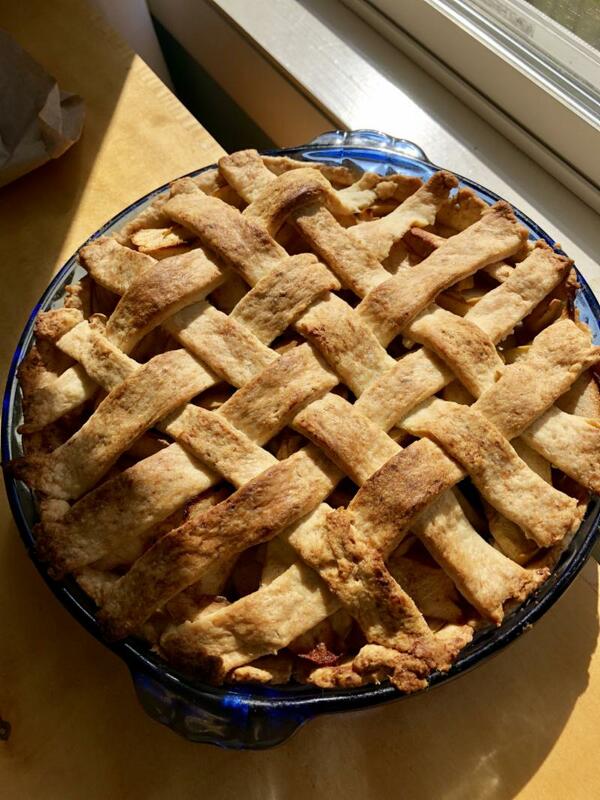 After tasting many different apples this fall (Botany block) and becoming proficient in handling fractions (Math block), we felt it was time for using our knowledge to bake an apple pie. Who knew knowledge could be so delicious?! 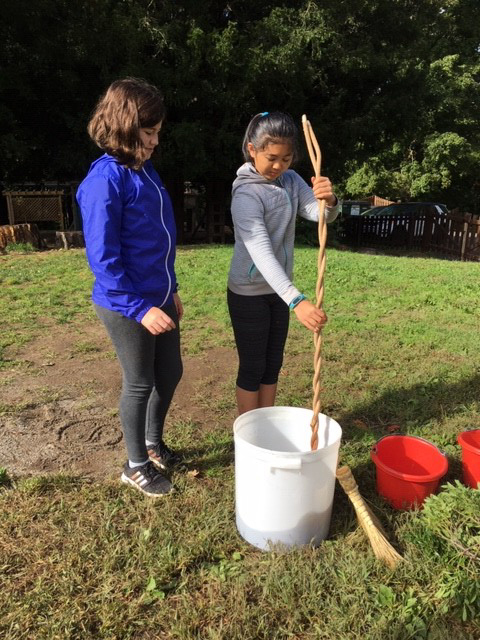 Ms. Marcella, who has been studying biodynamic agriculture, worked with the 5th grade to prepare and spread Preparation 500. A small sprinkle of 500 promotes the growth of beneficial organisms in the soil, like mycorrhiza and beneficial bacteria. This preparation began as fresh cow manure which was buried in a cow’s horn for one year. When the horn is removed from the soil the manure has been transformed into rich compost. The 5th graders mixed this substance with water and stirred it for one hour. Then the class spread the preparation using branches and leaves to sprinkle droplets all over our play yard. They even gave the trees that they are closely studying an extra dose. This preparation is traditionally applied at Michaelmas and May Day (and any time in between). 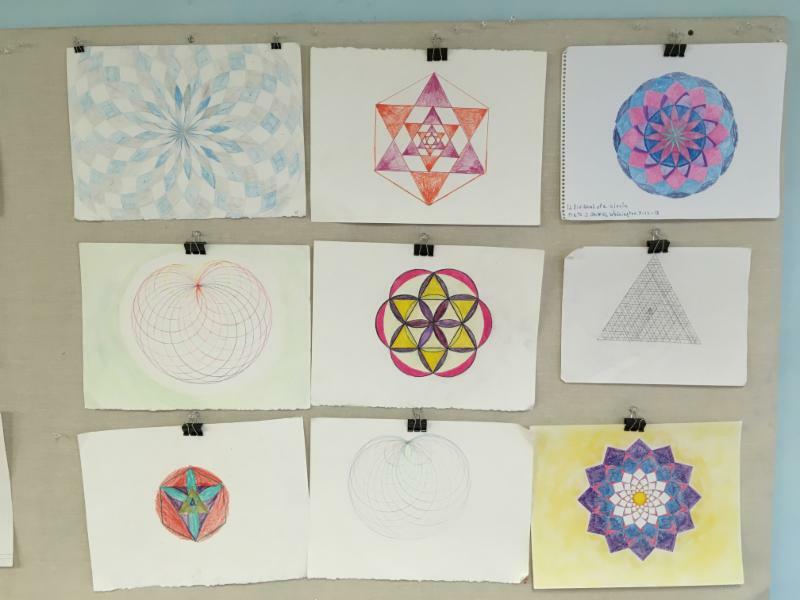 The 6th grade class finished their Geometry block by creating beautiful geometric forms for a final project. We are now studying the movements and minerals of the earth in our Geology block. 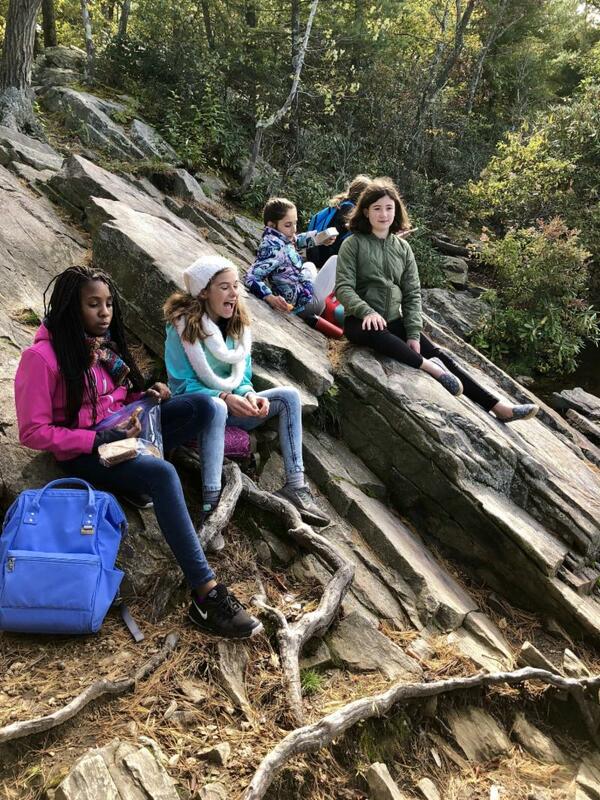 We have been preparing for (and are now on) a Fall camping trip at Steep Rock Preserve, where we will study Connecticut's local geology. 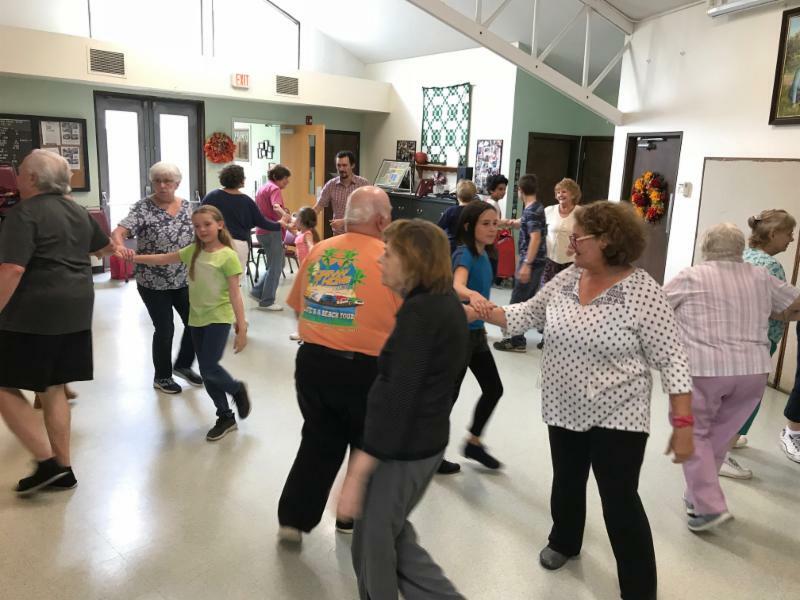 The 6th grade joined Traditional Dance teacher Patricia Campbell for dancing at the Newtown Senior Center. 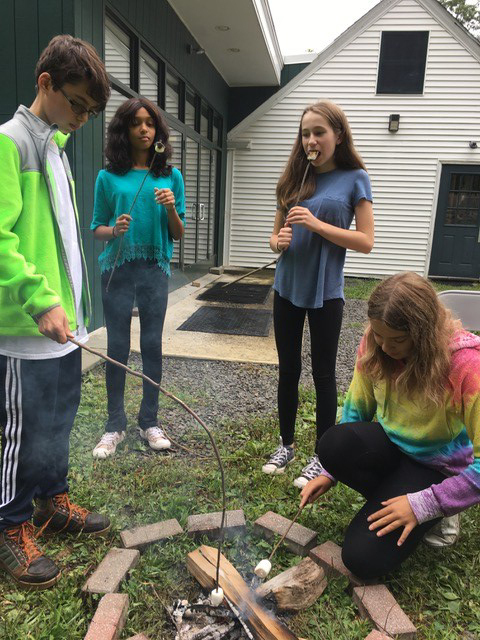 Grade 7 spent September studying Chemistry. We worked a lot around combustion: burning things! We built a small bonfire and had to have s'mores of course. We have now moved into a Math block where we are concentrating on percents and business math and whole number and decimal ratios. The 8th graders began the year learning about Meteorology. We followed hurricane Florence closely and learned about many weather phenomena. Then we moved into a Physics block to study fluid and aero mechanics. 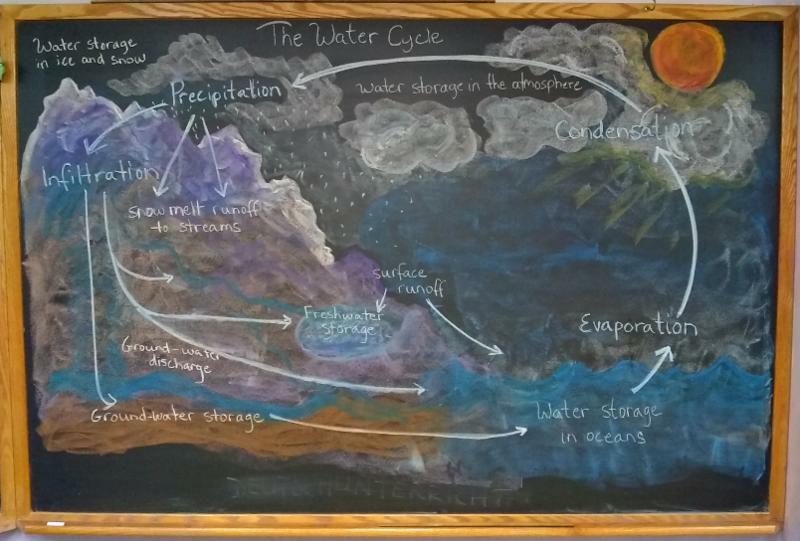 We discussed concepts such as water pressure, the Archimedes principle, and Newton's Laws. As always, we continue our fundraising efforts and look forward to our class trip in the spring. 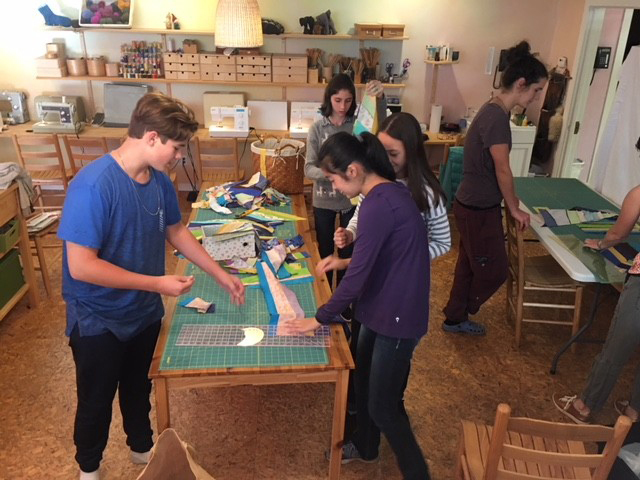 The 8th graders are already hard at work on their Spring Benefit auction project! 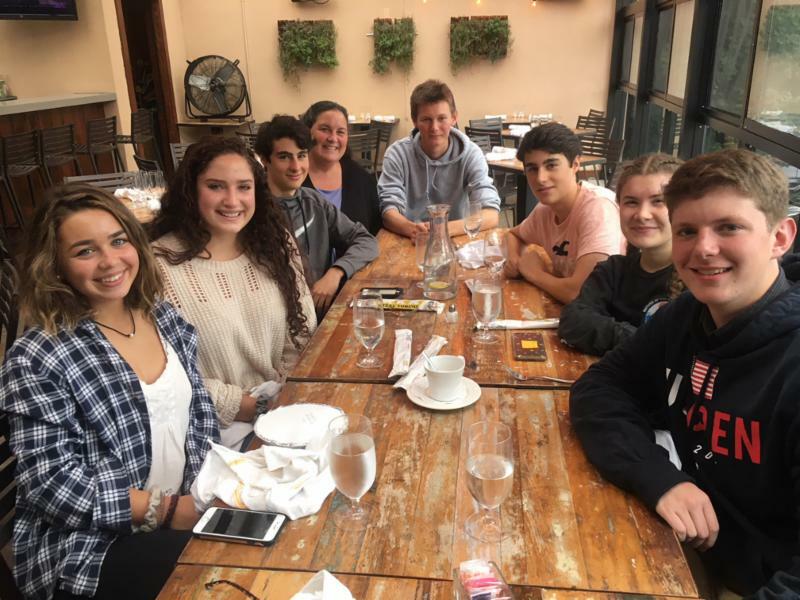 Leslie Lew and the Class of 2015 met for lunch at Ecco (one of Lisa Tassone's restaurants in Bethel). From left: Bayley Storrier, Lena De Feo, Dillon Larkin, Leslie Lew, John Disbrow, Jeremy Larkin, Maeve Rooney and Michael Wipf. We missed Sanni Cohn, who is now living in Maine, and Dempsey Reese. These HVWS graduates are now high school seniors! Congratulations to the Class of 2018 on their high school choices and the Class of 2013 on their college choices! We would like to thank Bobby Hudak (father of Khloe, Rose Class, and Kylie, 1st grade) for his service as a member of the Board of Trustees in the 2017-18 school year. We appreciate your fresh ideas and tireless support for the school! We are also very excited to welcome Colleen Olphie-Lippmann (mother of Samuel, 4th grade) to the Board of Trustees! Thank you, Colleen, for bringing your vision and experience to HVWS. Thank you to the 5th Grade Parents for all of their Michaelmas help (another rainy morning!) and a huge thank you in particular to Jodi Knuff for our new dragon head! A masterpiece! Thank you to Meredith Hettler and Sarah Settanni, and honorary member Lilah Rose Poston, for joining Heather Hemphill and Christina Dixcy on the Library Committee. Thank you to the Sawyer family for donating books to the Library. 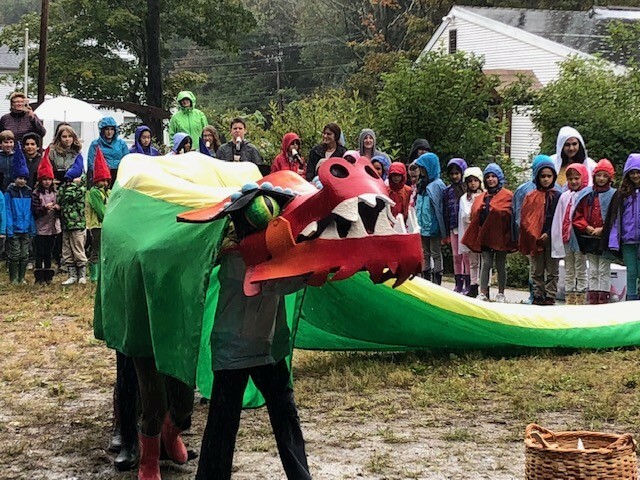 Thank you to everyone who made our Fall Fair a success, even with a soggy start! 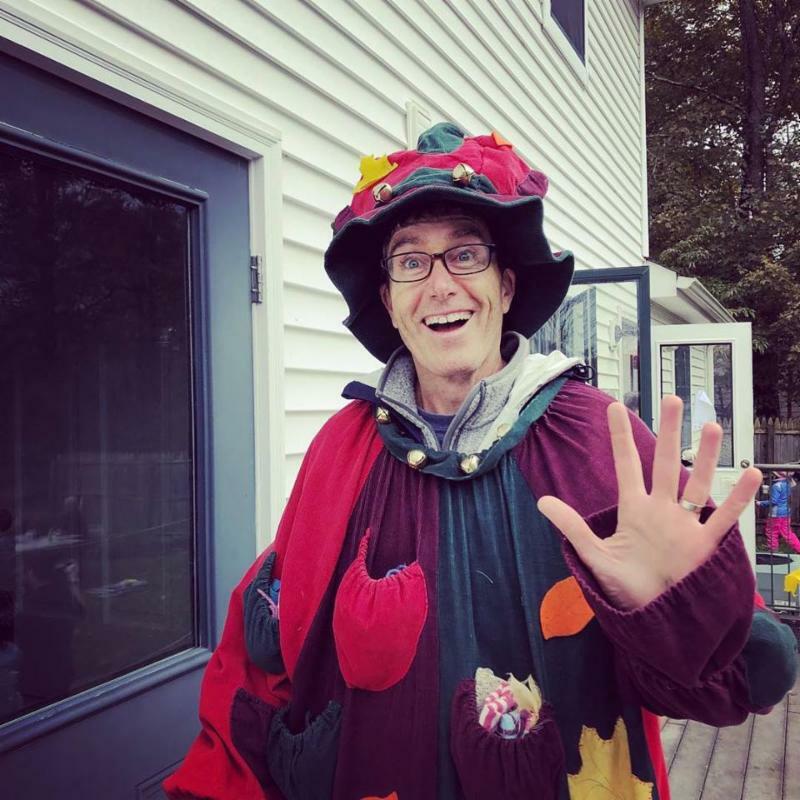 Special thanks to the Fall Fair Committee, the Handwork Group, the Puppetry Committee, Miss Carrie, and the many, many parents, students, grandparents, and staff who volunteered. Thank you to HVWS alumni parent Alice Unschuld for donating two music books, one CD, and one violin to the school’s music department. Thank you to HVWS alumni parent Peggy McFarland for donating eurythmy shoes to the school. Thank you to Sareenah Davis for help setting up the morning of the AWSNA conference. 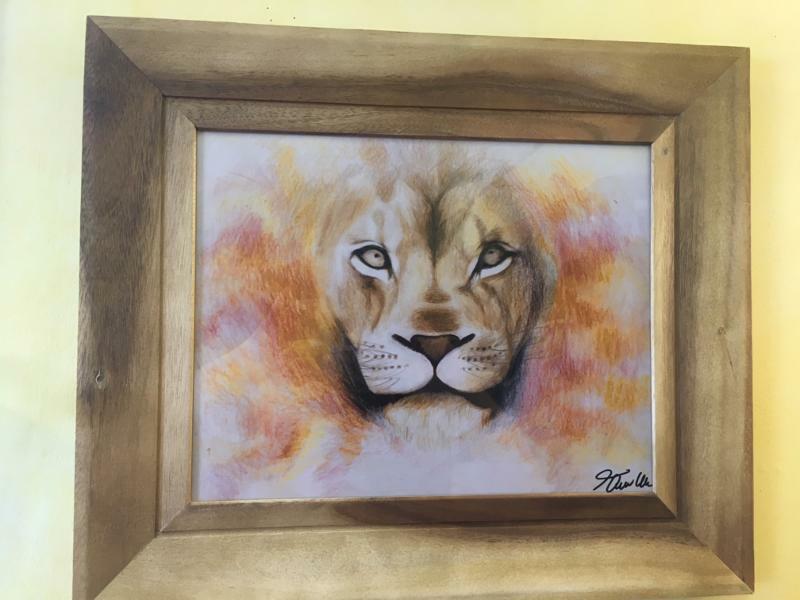 Thank you, Quinn Whelehan (Class of 2011 ), for donating your beautiful lion print to the 4th grade classroom. We are so happy to have your art in the school! We send our deep sympathy to John Alvord and his family on the passing of his father last month. Deborah Pedler McQuaite, former HVWS administrator and parent extraordinaire, died at home in Toronto on May 18, 2018. Debbie was our administrator from 1997 to 2000 and the mother of Austin McQuaite, who was in our first graduating class (2002). The McQuaite family, including husband Kim and daughter Caitlin, were instrumental in the success of HVWS when we were a tender young school: as we waited for our current Sundial and Rose Garden buildings to be vacated by the previous occupant (the Newtown Montessori School), the McQuaites housed Grades 1, 2 and Early Childhood in their home on Newtown’s Obtuse Road. 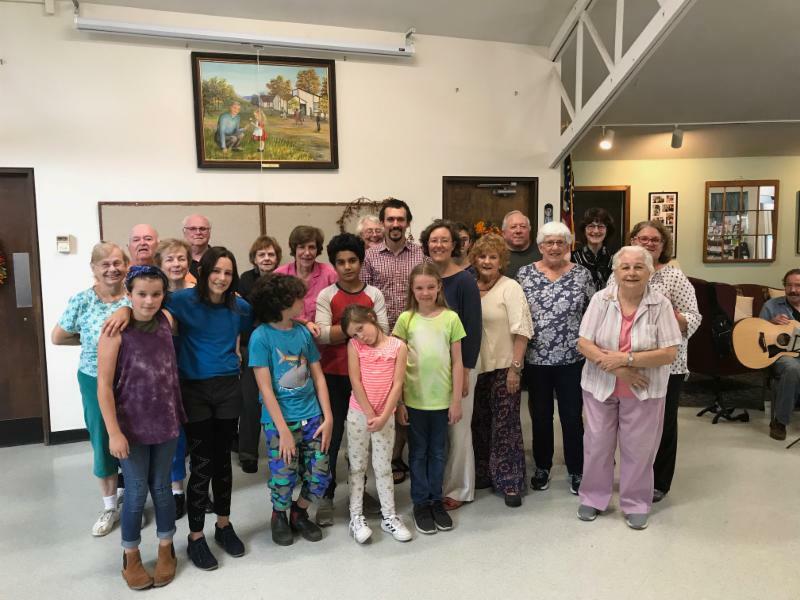 To minimize the number of cars in their driveway, families carpooled from the Hawleyville Deli to the McQuaites’ home in the morning, and back in the afternoon. Debbie was trained as an architect and taught several of our grades Perspective Drawing. She gave “News, Notes and Updates” its name when it was a weekly printout sent home to each family in the children’s mail folders. She was also a longtime student of anthroposophy, a trained Rhythmical Massage therapist, a biodynamic gardener, an extremely knowledgeable amateur homeopath, and a wonderful gourmet cook. Many of us fondly remember her legendary “heart attack chocolate cake,” and she inaugurated our annual tradition of baking Michaelmas dragon bread. Debbie loved to sing with her family, all of whom were very musical; they sang beautiful four-part harmonies. Debbie’s wholehearted support of HVWS and capable, no-nonsense style helped carry us through some difficult times in those early years. The McQuaites moved to Toronto in the early 2000s. Caitlin and Austin are both married and living in Canada, where Kim continues his graphic design/communications business. Our love, condolences and best wishes go to them. In her inimitable way, Debbie asked that her last words be remembered simply as “C U later,” and that if people wished to do so, they could make a donation to either archive.org or rsarchive.org.